There is a decent survey of the retro-clones here. 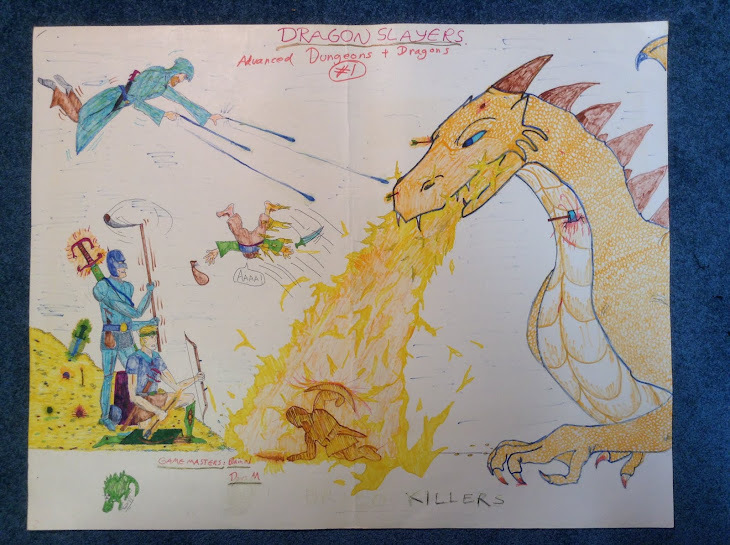 I should note, however, one mistake: Basic Fantasy is not a retro-clone of the D&D Rules Cyclopedia (indeed, Basic Fantasy isn’t really a ‘retro-clone’ at all, as it does not try to ‘clone’ directly an earlier version of D&D, but rather is a ‘new’ game inspired most directly by Basic D&D, but with some AD&D and d20 elements as well). Wooden gargoyles are artificial creatures created by powerful magic-users to protect certain objects or locations. They are carved from hard wood (e.g., oak) to be resemble wooden versions of their stone cousins. They normally are immobile, but fly into action when whatever they are protecting is threatened in any way. 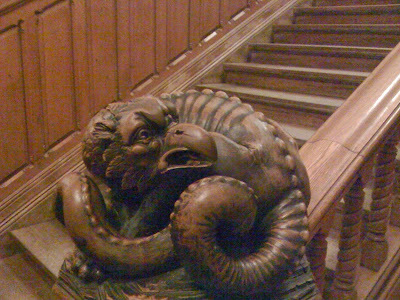 Wooden gargoyles have been treated by a magical lacquer to reduce their vulnerability to fire. In order to create a wooden gargoyle, a magic-user must be at least 9th level, spend 3000 gold coins for special materials, and work on the gargoyle for 4 uninterrupted weeks. Wooden Gargoyle: HD 4; AC 5; Atk 2 claws (1d4), 1 bite (1d4+1); Move 9 (Fly 15); Save 13; CL/XP 6/400; Special: Fly. Swords & Wizardry, the 0e retro-clone game, has won the 'Silver Ennie' for best free RPG at GenCon 2009. Congratulations to Matt Finch and Mythmere Games! The door of gaming glory has been decisively opened. I've been thinking about my Swords & Wizardry (OD&D) house rules for damage and critical hits. Very roughly, for player characters and important non-player characters, hit points represent only 'superficial damage.' Characters (and important NPCs) take 'real damage' -- loss of points of Constitution -- once they run out of hit points (moreover, once a character takes damage to his/her constitution, he/she is at -2 to all actions, and must make a saving throw in order to avoid falling unconscious). 'Critical hits,' on the other hand, do maximum damage plus an additional damage roll. So a character can take a 'critical hit' that is only 'superficial damage' (if he/she has enough hit points). My main concern with such a change is that it would require players to keep track of both hit points and constitution points at the same time (and Game Masters would have to do the same with respect to important NPCs). The current system, in contrast, has the virtue of (relative) simplicity, since constitution is lost only when all hit points have been depleted. Perhaps this is not a significant concern, but I like to keep things as simple as possible. -8000 c. Tribes of Alfar enter the world from Faerie. -7500 c. The Alfar Kingdom of Adalbrikt is established in Ilmahal. -7000 c. Clans of Vadhre arrive upon the shores of Ilmahal. These clans establish settlements in the mountains of Ilmahal. -6000 c. The First Eldar War rages across much of the world. -1500 c. Adalbrikt is destroyed during the Last Eldar War. The Lios Alfar of Ilmahal enter into a period of decline. -1000 c. Rise of the Morghain as a distinct people in Ilmahal. The Morghain are taught agriculture, metallurgy, and magic by the Vadhre. Clans of Morgain spread across Ilmahal; humanoid tribes retreat to wilder regions. 1 The first Imperiator of Aphoria is crowned; the Aphorian Imperium is established. 811 Aphorian legions arrive in Ilmahal. 1000 c. First reports that a powerful witch, ‘Amarrah,’ lives in the Weeping Woods. 1200 c. Vilkhoric raiders begin assaulting Ilmahal for many decades. Over time, the Vilkhoric and Morghain populations merge into a distinctive people. 1350 c. The end of the Vilkhoric raids on Ilmahal. 1472 The Aphorian archmage Nimrul and his apprentice Ulfor arrive in Arsilonia. 1602 The Great Devastation: the Aphorian capital is destroyed. Civil war consumes the Imperium; Arsilonia is abandoned by Imperial legions. 1604 ‘Wildstorms’ begin to appear on the seas of Ilden (caused by the Devastation?). Sea travel becomes very dangerous, and Ilmahal becomes isolated. Some evil ‘Iron’ Vadhre clans are allied with the Golden Prince. Surviving ‘Stone’ Vadhre join their brethren in southern Ilmahal. 1669 The ‘Savage Winter’ – many northern clans of Morghain are weakened or wiped out. 1670 The island of ‘Fiachna is conquered by Forgrim pirates. Over time, ‘Mangrim’ – a mixed Morghain-Forgrim people – emerge on the isle. 1707 The hordes of the Golden Prince begin to assault nearby Morghain clans. Rumours begin that the Golden Prince is taking Morghain slaves. 1736 The ‘Winter of Woe’ – pirates plague the southwestern part of Ilmahal. However, many pirates are defeated by the archmage Nimrul. 1758 A university is established by the Order of the Grey Savants. In subsequent years, the town of Bookbridge grows up around the university. Gradually the university becomes known as the ‘University of Everick’ (its founder). 1782-90 Flavius Briz and his companions drive the humanoid bands from the isle of Brohn. The land is renamed the Duchy of Briz, and Flavius becomes the first Duke. 1797 Flavius’s ally & friend, the mage Ulfor, builds his tower near the village White Cove. 1800 Duke Emrich of Arsilond begins his war of conquest. 1803 Duke Briz freely joins the Kingdom of Olbian. 1812 Emrich’s conquest is complete. The Kingdom of Olbian is established. The Silverdrake crown is given to Emrich by the archmage Nimrul. 1821 King Emrich commands that the King’s Wall be built on the northern border. 1830 A number of Morghan clans are united under the leadership of Feargus the Bold. 1832 A great battle is fought on Girric’s Fields against the Golden Prince. Feargus the Bold is slain and the Morghain clans fall into disarray once again. The Golden Prince retreats into his fastness for many decades. 1863 King Fredigar dies without an heir. The Silverdrake crown goes unworn. The Kingdom of Olbian falls apart over the next decade. 1888 The Golden Prince renews his assaults on the Morghain clans of the north. 1900 c. A number of minor Morghain city-states emerge in the north. They are formed primarily in order to organize opposition to the Golden Prince. 1916 The ‘Crimson Plague’ rages across Ilmahal, slaying one third of all humans. 1943-55 The ‘Petty Wars’ rage in southern Ilmahal. Many ‘pretenders to the throne’ strive to re-establish the lost Kingdom of Olbian. 1979 The Golden Prince conquers Domongart Forest and most of the Uarraig Highlands. 1991 The Morghain cities Uban and Osgar fall to the Golden Prince. The Duchy encompasses a medium sized island (roughly 80 miles north to south, and 40 miles east to west), off the eastern coast of the Island of Ilmahal. The northern third of the island is dominated by a shadowy woodland called the Maelvorn Forest. Beyond the forest, on the northeastern corner of the island, are some wild highlands called the Storm Ridges. The southern part of the island consists of fertile farmlands and river valleys, though rocky hills dominate the eastern and western coastlands. The island – called ‘Brohn’ in the ancient Morghain tongue – was inhabited by a couple of relatively peaceful Morghain clans for many centuries until it was conquered by Aphorian legions twelve centuries ago. The island was abandoned by its human population approximately four centuries ago, when the Aphorian Imperium withdrew its legions from Ilmahal. Much of the island was overrun subsequently by disorganized bands of humanoid savages (goblinoids and forgrim). These bands settled in the abandoned Aphorian villages and forts that dotted the island, and fought amongst each other in a disorganized fashion for many years. Most of the duchy’s human population live in the southern part of the island. The one exception is the fishing town of White Cove, which is considered part of the Duchy. The present Duke of Briz is Duke Aelig Briz II. A small number of furtive Waldleuti dwell in the southern Highland Forest. A handful of Vadhre traders live in Briz. 1. Briz. (Formerly called ‘Irylond.’) The capital and only sizable town in the duchy. It is a moderately cosmopolitan cultural and economic centre, and hence the only place where the Vadhre have a permanent trading base. 2. Solan. A fishing village on the southwestern coast. A number of ancient Morghain cairns can be found to the southeast of the village. 4. Ninian. Another fishing village on the eastern coast. Sometimes called ‘Old Foggy’ because of the cool mists that perpetually form off the coastal hills. An important lighthouse lies a few miles to the northeast of the village, the residence of the mage Karthedon. 5. Juvad. A trading village surrounded by a number of grain farms. The ale and lager served by ‘The Golden Grain’ are famous throughout the duchy. 6. Envel. Envel is surrounded by farmland. In addition to grain, some farmers near Envel grow an unusual crop – pumpkins. 7. Maugan. A small town located in the coastal highlands. It supports a few nearby silver mines. 8. Pereg. A highland town surrounded by farms to the east, and a large temple devoted to Amithos and the Solar Court to the west. Many religious subjects of the duchy make pilgrimages to the temple. It is well known for its potent whiskey (‘Pereg’s tears’), which is somewhat popular with the temple’s clergy. 9. White Cove. The second largest town in the Duchy, White Cove dominates a small rocky island to the north of the dreaded Storm Ridges. The tower of the powerful wizard Ulfor – a friend of the Dukes of Briz – overlooks the town. Ulfor is the formal ruler of the island, holding the title of ‘baron,’ although he typically delegates responsibility for day-to-day affairs to White Cove’s mayor. Three imposing guard towers stand at the southern border of the Maelvorn Forest to limit forgrim and goblinoid incursions into the civilized lands of the south. Gentle Ridges. A small range of unremarkable coastal hills that contain a few copper mines, most now abandoned. Highland Forest. A small forest made up of a mix of deciduous and coniferous trees. A number of small Waldleuti settlements are scattered throughout the forest. The Waldleuti avoid contact with outsiders. Some ancient Morghain barrows are said to exist in the wooded hills. Maelvorn Forest. A dark and grim forest, the Maelvorn dominates the northern part of the island. Many tribes of forgrim and goblinoids live scattered throughout the woods. More dangerous and unnatural creatures are rumoured to dwell deeper within. Legend suggests that a few Alfar ruins can be found near Lake Vorn. Misty Hills. As their name suggests, these hills typically are covered in mist formed by moisture blown in from the Murcha Sea. Western Highlands. An imposing range of rocky hills that dominates the western coast of the island. A number of ancient Morghain cairns can be found throughout the highlands. Local tales speak of an ancient Aphorian monastery somewhere within the northern hills, concealed by mystical means. Storm Ridges. An unpleasant, broken land, with little vegetation, the Storm Ridges primarily consist of reddish and black rocky hills. Sailors and fishermen regularly report seeing a mysterious, ancient tower on one of the highest hills on the northern part of the ridges, near the Maelvorn Forest. No one who has ever investigated the tower has ever returned. Swamp of Norg. A fetid marsh covered in a perpetual miasma of evil. According to legend, the swamp was created many centuries ago following a great battle between a demon lord and a great Morghain hero. Sailors have reported seeing mysterious barges leaving the swamp in recent years. So, gentle readers, here is an overview of my homebrew 'swords and sorcery' setting Ilmahal. It is meant to be used with all of my 'swords & sorcery' house rules. The island of Ilmahal is slightly smaller than the island of Britain. It resembles Britain in terms of geography and climate, except for the fact that Ilmahal has a number of small but imposing mountain ranges along its eastern coast. It exists in the northern part of the world of Ilden. Culturally and politically, Ilmahal somewhat resembles post-Roman, Dark Ages Britain. The southern portion of the island was once the northernmost province of a great empire, the Aphorian Imperium. After the collapse of the Aphorian Imperium, Ilmahal descended into a dark age of chaos and barbarian invasion. Two centuries ago the southern portion of Ilmahal was united into the Kingdom of Olbian, which resembled pre-Saxon ‘Arthurian’ England. Alas, Olbian collapsed after its second king failed to produce an heir. Since then, the realm has been divided amongst petty kingdoms, city-states, and bandit lords, all struggling against each other – and against the many vile sub-human tribes that ravage the land – for supremacy. In the time before the rise of human civilization, a people from the plane of Faerie – the Alfar – arrived in Ilden. On the isle of Ilmahal, the Alfar established the Kingdom of Adalbrikt (which means ‘noble and bright’ in the Alfar tongue). Adalbrikt lasted many eons, during which time humans lived as primitive feral creatures, away from the viridian cities and emerald towers of the Alfar. Also during this time some small, scattered clans of furtive Vadhre (a culturally sophisticated subterranean race distantly related to humanity) established underground towns in the mountains of eastern Ilmahal. The last Eldar War, roughly 3500 years ago, ruined the Kingdom of Adalbrikt, and the surviving Alfar entered into a period of gradual decline. Some centuries later, the ‘Morghain’ – the human peoples of Ilmahal – emerged as a distinctive culture. 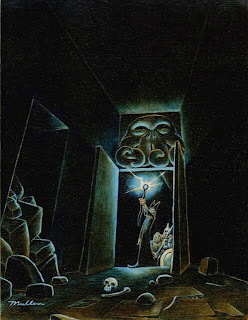 Feeling some affinity with these human peoples, the grim Vadhre taught the Morghain the art of metallurgy, as well as the essential elements of magic. The Alfar, who thought of humanity as little more than wild beasts, were disgusted by this development, and withdrew even more into their enshrouded fey enclaves. Around 2000 years ago a great empire arose to the south of Ilmahal. This empire was called the ‘Aphorian Imperium,’ and over time it conquered the entire continent of Rylindar (the island-continent a hundred miles to the west-southwest of Ilmahal). Approximately 1200 years ago the Aphorian Imperium conquered the southern parts of Ilmahal. They ruled this province – which they called ‘Arsilonia’ – for some eight centuries. However, they eventually were forced to abandon Arsilonia because of an event called ‘the Devastation’ which destroyed the ancient Alphorian capital and plunged the empire into a bitter, ultimately self-destructive, civil war. Shortly after the collapse of the Aphorian Imperium, the northern Vadhre towns and strongholds were lost to hordes of vile sub-human tribes (goblins and the like) – all led by a powerful, enigmatic being known only as the ‘Golden Prince.’ Also around this time, a small Morghain island to the west of northern Ilmahal called Fiachna was conquered by ‘blue’ Forgrim pirates. (The Forgrim are a savage race of humanoids distantly related to humans. The term ‘blue Forgrim’ is used to refer to sea-faring bands of Forgrim.) 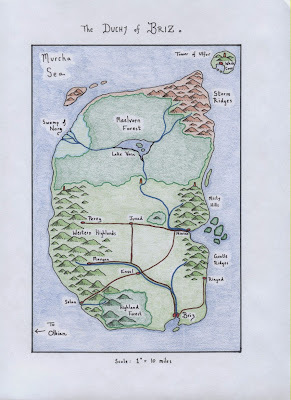 Raids from Fiachna have troubled the western coasts of Ilmahal ever since. 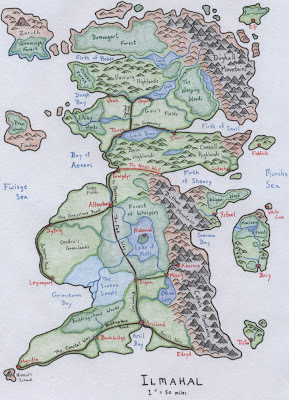 Hope returned briefly to the southern lands of Ilmahal some two centuries ago with the establishment of the Kingdom of Olbian by Emrich Silverdrake. Olbian included the lands that previously were part of the imperial province of Arsilonia – all of the lands of the people now known as the ‘Arsilonians’ (the people of mixed Morghain-Aphorian descent). In order to defend his kingdom against raids by humanoids and Morghain brigands from the north, King Emrich built a great wall along the northern marches of his realm. Sadly, King Emrich’s son, King Fredigar Silverdrake, failed to produce an heir – consequently, the Silverdrake crown (a powerful artifact forged for the kings of Olbian by the arch-mage Nimrul) has since languished unworn. The kingdom broke apart within a decade after Fredigar’s death. Today, the island of Ilmahal is a divided land. 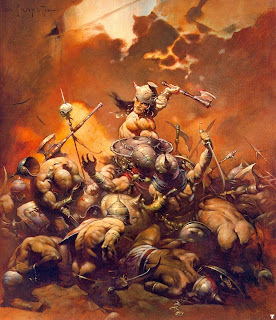 In the north, the scattered clans of the Morghain fight off raids from the many hordes of humanoids (goblins, forgrim, gnolls, and the like) that threaten them – many of which are under the sway of the mysterious Golden Prince. To the west the island of Fiachna remains a haven for forgrim and ‘mangrim’ (humans with forgrim blood) pirates. Only the mysterious Republic of Cif, in the far northeast, seems secure and wealthy, despite the cold winds that assault it for much of the year. In the south, the Arsilonians live in a number of city-states and petty kingdoms, the shards of the once strong Kingdom of Olbian. The taciturn Vadhre of the Duthac and Collain Mountains interact on civil, if aloof, terms with the surrounding Arsilonians, trading finely crafted tools and weapons for food and liquor. Nonetheless, many Vadhre long to reclaim their lost holds within the Dughall Mountains from the much despised Golden Prince. The Alfar of the Forest of Whispers and the mysterious city of Fridmund remain entirely indifferent to the affairs of man. Given the absence of any ‘raise dead’ or ‘resurrection’ spells in most ‘swords and sorcery’ settings, Game Masters may want to make ‘save or die’ effects (from poisons, traps, magic, and so forth) more rare than they are in a standard S&W or D&D game. Moreover, instead of causing instant death, many poisons might do constitution damage (automatically depleting all of the character’s remaining hit points), the amount determined by the strength of the poison in question (from 1d4 to 1d20). Thus such poisons would cause either unconsciousness (unless the character makes his/her saving throw), a -2 penalty to all actions (until the lost constitution points are healed), or death (if the damage roll is high enough). Alternatively, poisons might cause temporary paralysis, loss of strength or dexterity points (to be recovered through rest, as per constitution points), and so forth. 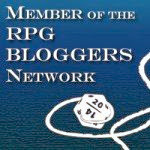 Game Masters of ‘swords and sorcery’ games should be creative in coming up with non-lethal, or at least not automatically lethal, alternatives for ‘save or die’ effects.